That’s it. No need for unsemantic, wrapping divs or any other nonsense. This technique works great for cropping awkwardly-sized avatar pictures down to squares or circles. Take this wide photo of a bear below for example. 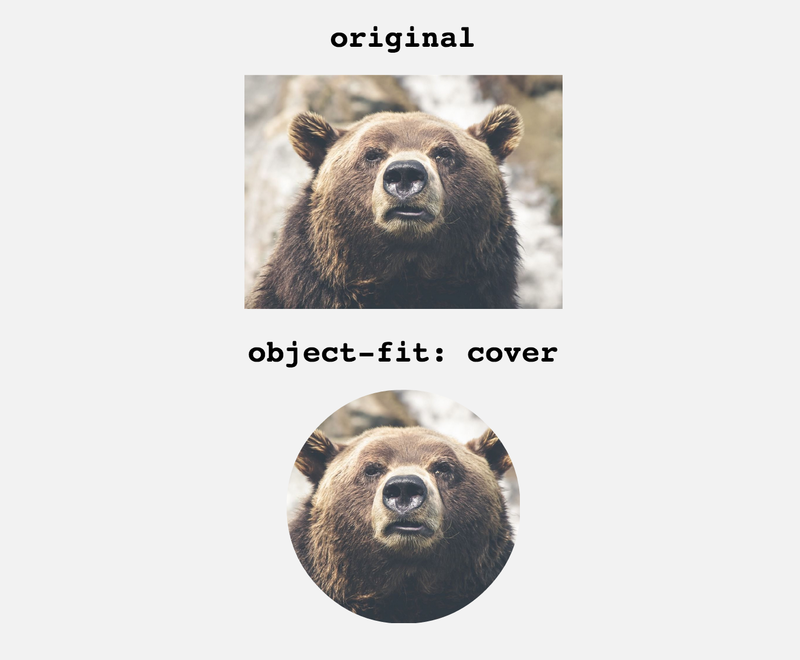 Once object-fit: cover is applied to the image and a width and height are set, the photo crops and centers itself. object-fit: cover crops the exact same way background-size: cover does, but is used for styling imgs, videos and other media tags rather than background images. object-fit has fairly decent support in the latest browsers and there’s a polyfill for older browsers (IE8+). Interested in the other object-fit values? Try them out.